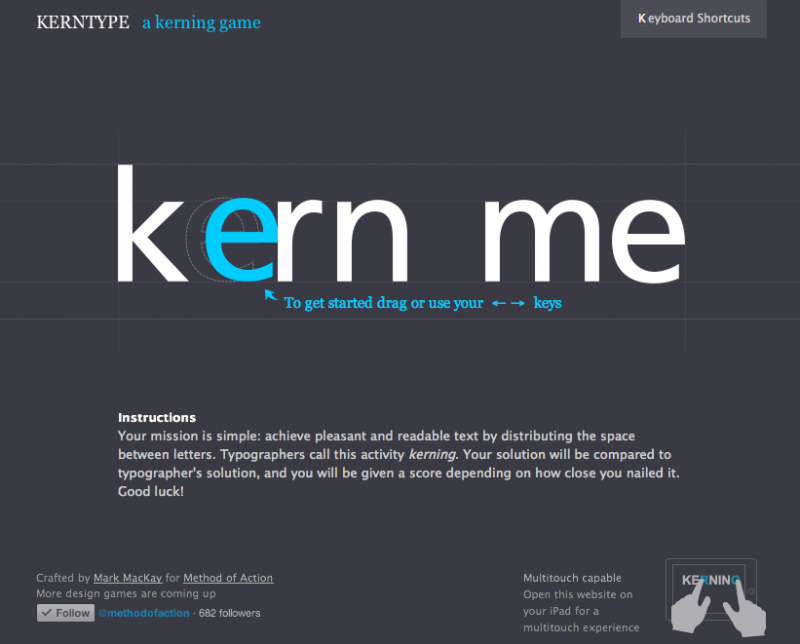 Achieve pleasant and readable text by distributing the space between letters. Typographers call this activity kerning. Your solution will be compared to typographer’s solution, and you will be given a score depending on how close you nailed it. Good luck!